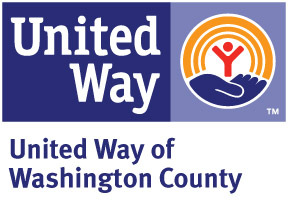 It is the mission of The Youth and Family Project, Inc. to provide support, guidance, and understanding to help people in need in Washington and Waukesha Counties realize their individual goals of independence and personal well-being, and achieve a safe, stable living environment. "Meeting People Where They're At, Greeting Them with Hope"
FACILITATE - To successfully "meet them where they're at" and provide the highest quality of service to persons seeking help from The Youth and Family Project, each individual's needs, strengths and liabilities are assessed. Personal goals are identified and a plan of action is developed based on the individual's skill and comfort levels. When necessary, information and referral is provided to additional and/or more appropriate sources of help. EDUCATE - Family education and individual skill-building are key components of programs and services offered by The Youth and Family Project, Inc. Children, teens and adults benefit from a variety of educational formats, peer-support groups, and hands-on learning experiences, all which are designed to promote a healthy sense of self-worth and enrich family relationships. COLLABORATE - The Youth and Family Project remains active in several collaborative efforts with local human service organizations, health care providers, mental health care providers, schools, community groups and faith-based organizations, to more effectively meet the needs of a growing community within the confines of limited resources. In addition to creating a comprehensive service delivery system, these collaborations serve to strengthen their partners through active networking, shared experience and combined resources. EVALUATE - The Youth and Family Project believes that ongoing evaluation is central to organizational learning, performance improvement and accountability. All programs and services are routinely monitored to ensure that the community's needs have been accurately assessed, projected outcomes are being achieved, and funding requirements are being met.